Dr Kapil Raniga grew up in Brisbane where he went to school at John Paul College on an academic scholarship. He attended the University of Queensland where he successfully completed his Bachelor of Dental Science degree. After working in Ipswich for several years, he opened our Plainland practice. Kapil is a caring and gentle dentist who prides himself on providing honest advice and quality treatment to his patients. He has a special interest in cosmetic dentistry, and is often heard saying everybody deserves a beautiful smile! 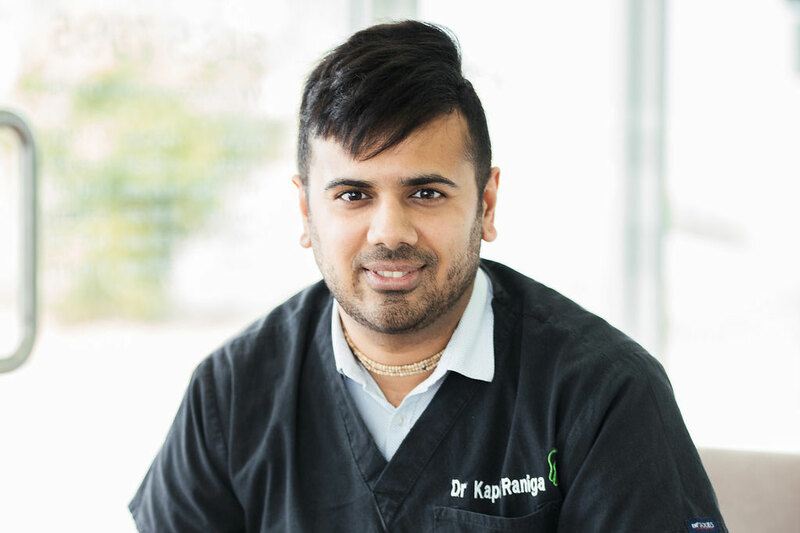 To further provide for his patients’, Kapil has completed further study in Orthodontics and Dental Implantology. During his free time, Kapil enjoys spending time with his wife, family and friends. He enjoys playing squash (not very well), reading a good book and loves to travel.